Institute of Mentalphysics - Blog - NEW Science of Mentalphysics Newsletter - Subscribe! NEW Science of Mentalphysics Newsletter - Subscribe! My name is Jody Curtis and I have been asked to accept the first 'Reverend-in-Residence' position at the Institute of Mentalphysics under a newly created "Fellowship Program." 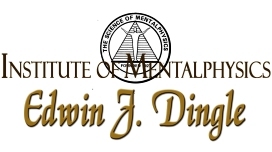 I was drawn to Mentalphysics and began studying the work of Edwin J. Dingle (Ding Le Mei) in 2009 and have been with the Institute for almost 10 years. Mentalphysics is a multi-denominational "Philosophy of thought;" a path to understanding the unity of Science and Spirituality. Mentalphysics teaches ancient knowledge from the Monasteries of Tibet. The inward journey of self-realization is achieved with practice of the 8 Key Breaths, Meditation, and additional spiritual studies. I was ordained as a Preceptor of Light (a Reverend) of the Science of Mentalphysics in 2014 by my beloved teachers, Reverends Frank and Evelyn Haggard, and have been teaching Breath and Meditation classes at the Institute since 2010. 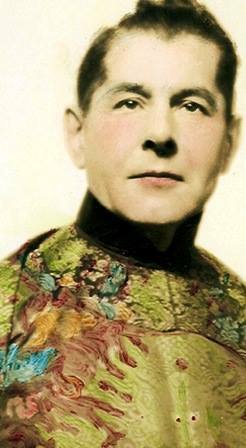 During my time in the Fellowship I will be working on archiving the works and records of Ding Le Mei creating a library of the archives to be held and managed by the Institute, and future members of the Fellowship. I am currently in the process of gathering all students and teachers of Mentalphysics in the many countries around the world in which they practice. If you are a teacher or student, please click on your country and submit your contact information or any documents or photos you would like to include in the archive HERE. If you would like to keep up to date on future Mentalphysics classes, audios, videos, and the like, please click HERE. The Science of Mentalphysics teaches that Prana or life energy, is a substance, a subtle form of energy that both animates life and carries intelligence. It is universally distributed and is what the Soul uses to communicate with. Using the mind-substance, as activated through the Breath of Life - 8 Key Breaths, one is able to activate the creative powers within. Students are also instructed in meditation, which leads toward tapping universal wisdom and development as a mystic. As a mystic one understands truth, life, and one's potential through experience. If you are a current Mentalphysics student, you may email me with your student number and I will create a special coupon code to give you access to the online course. If you would like to study, but cannot currently afford the course fees, scholarships are available. Please contact us and let us know of your circumstances and we will do our best to help you get started. In addition, there are ongoing Breath and Meditation classes at the Institute of Mentalphysics in Joshua Tree and The Initiate Group Course and Inner Chamber classes, as well as breath and meditation classes are held at the Center of the Open Rose in Yucca Valley, CA. 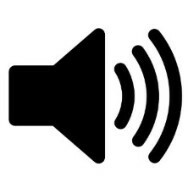 Listen to Ding Le Mei by clicking on the audio icon. Jody Curtis has been a seeker of deeper spiritual understanding for as long as she can remember. 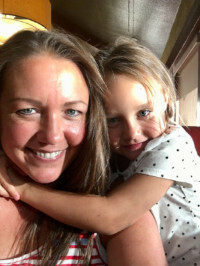 After recovering from stage 4 cancer and the death of her father from COPD in 2008, she was guided to the Mojave Desert in Southern California to work at the Institute of Mentalphysics and start studying the Science of Mentalphysics with the intention of becoming a Breathwork teacher. Jody has always felt called to uncover and carry on the work of Ding Le Mei. 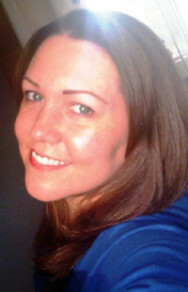 Jody graduated as a "Preceptor of Light" in 2014 and teaches ongoing classes at the Institute of Mentalphysics. Sign up for our newsletter to receive the latest updates and content related to the Science of Mentalphysics and Edwin J. Dingle (Ding Le Mei). Follow us on social media!